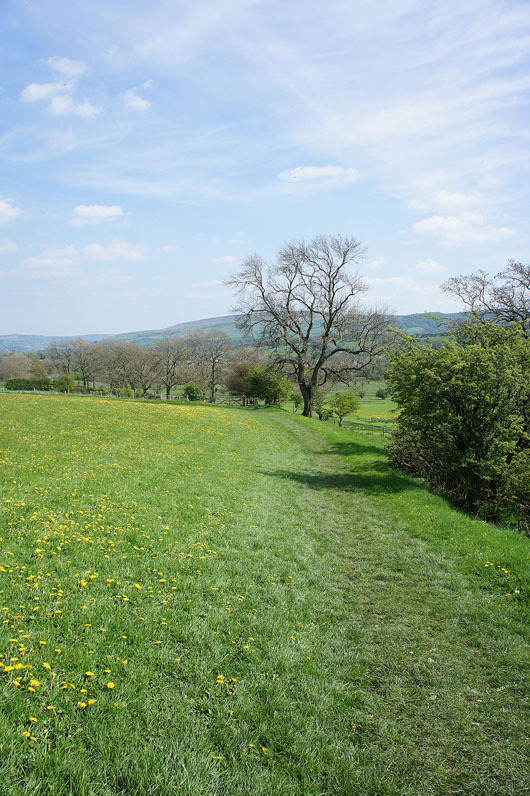 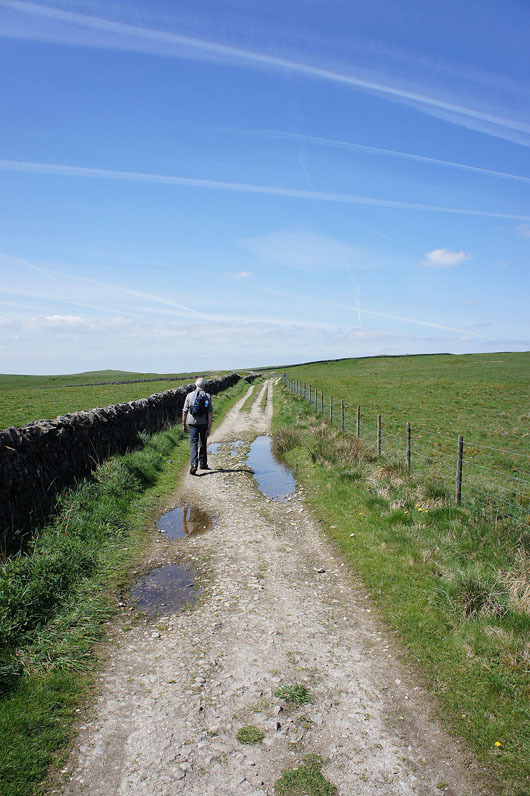 A beautiful spring day for this walk in the Peak District with my Dad. 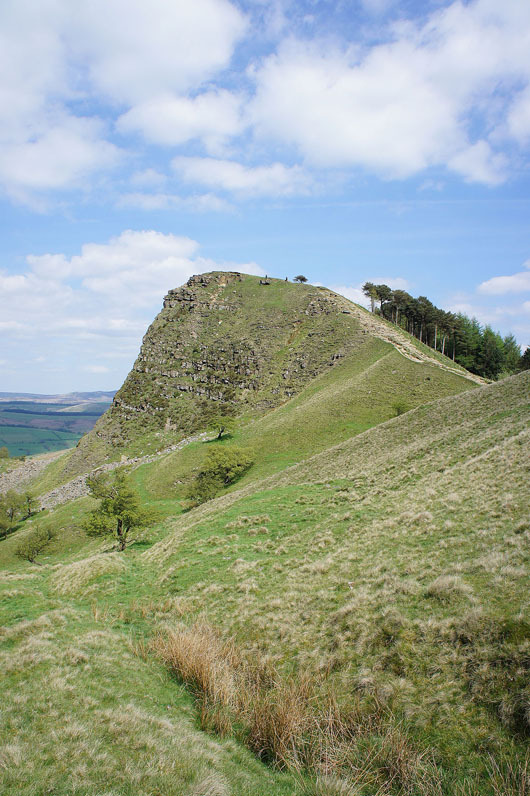 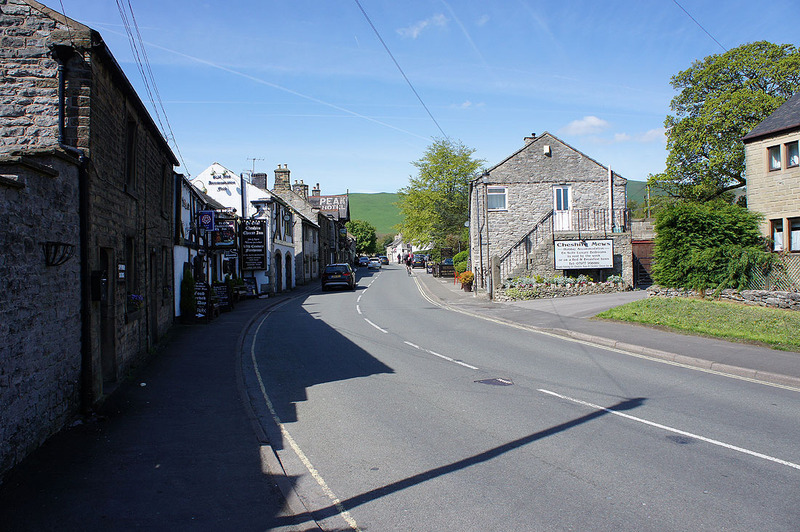 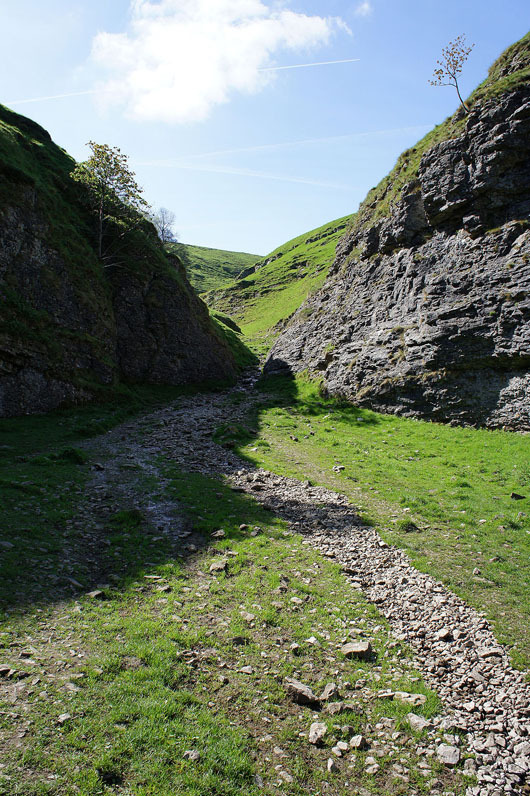 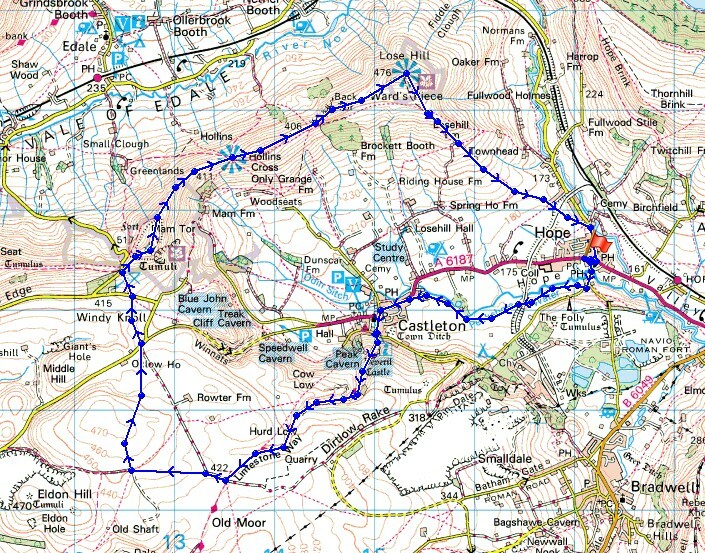 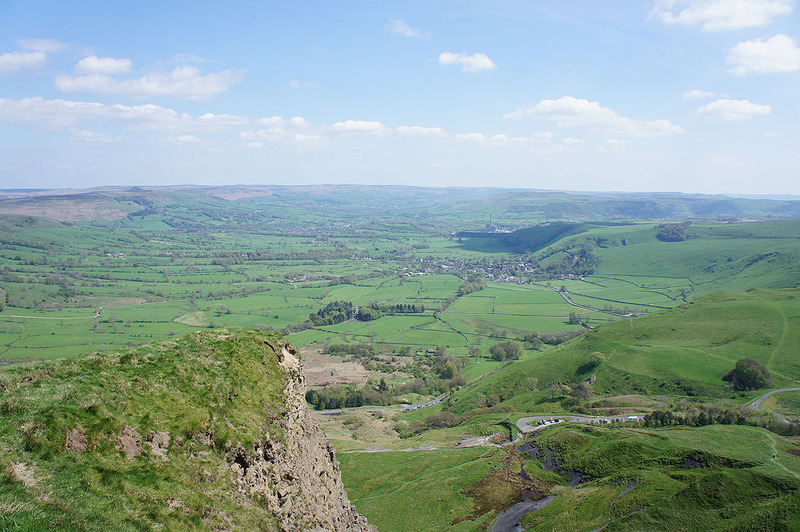 From Hope we followed the footpath to Castleton. 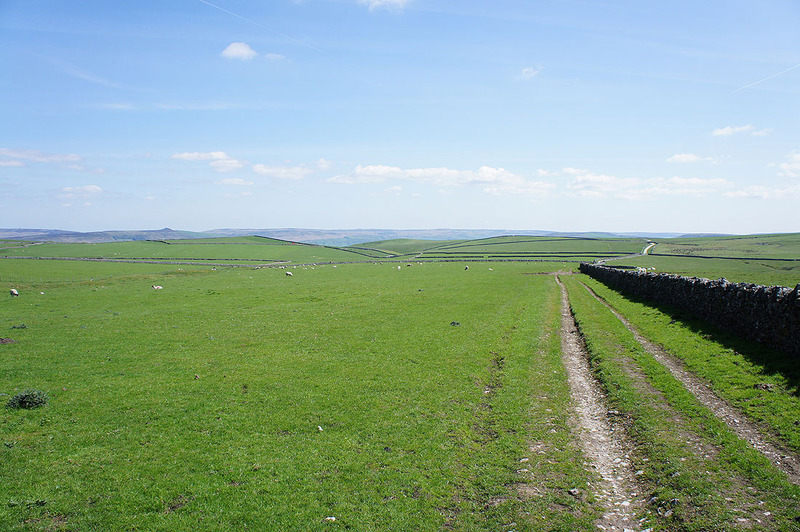 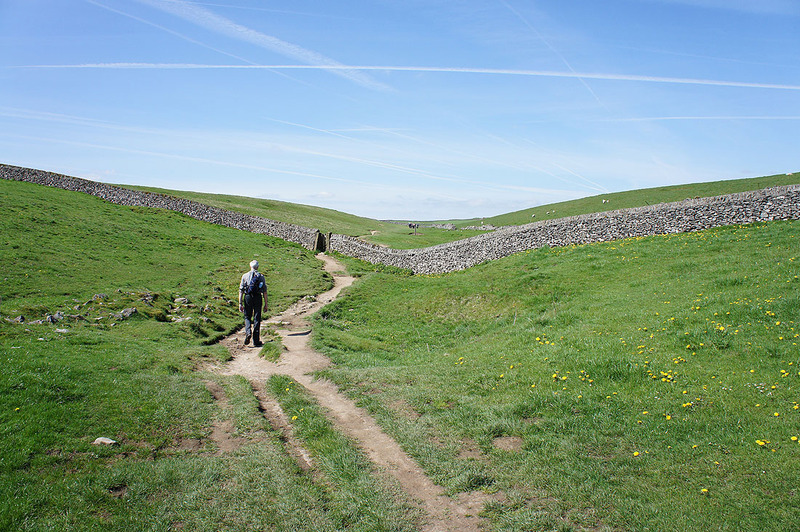 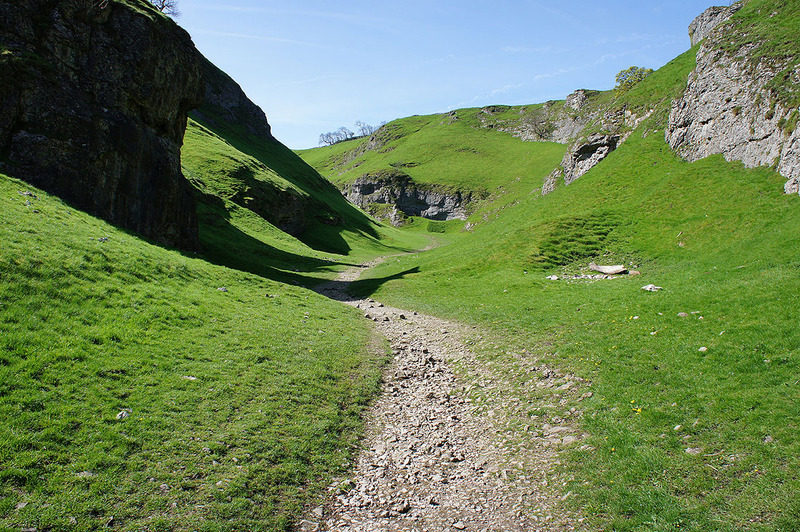 We then continued on the Limestone Way into Cave Dale and at the top of Cave Dale before taking a path across the moorland to Windy Knoll. 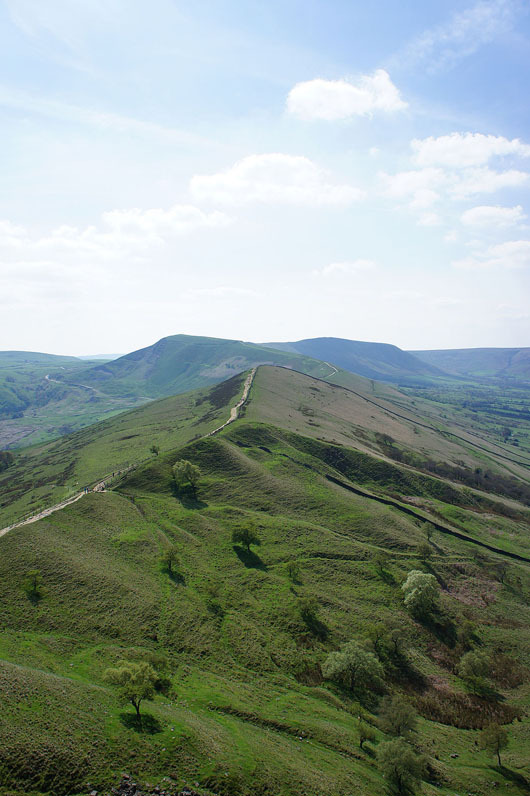 After crossing a road we climbed to the top of Mam Tor. 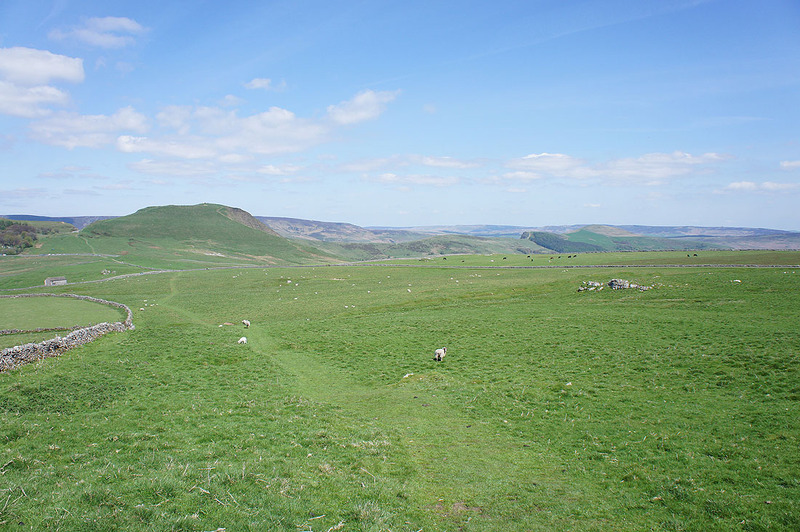 The walk along the Great Ridge across the tops of Barker Bank, Back Tor and Lose Hill was done before heading back down to Hope. 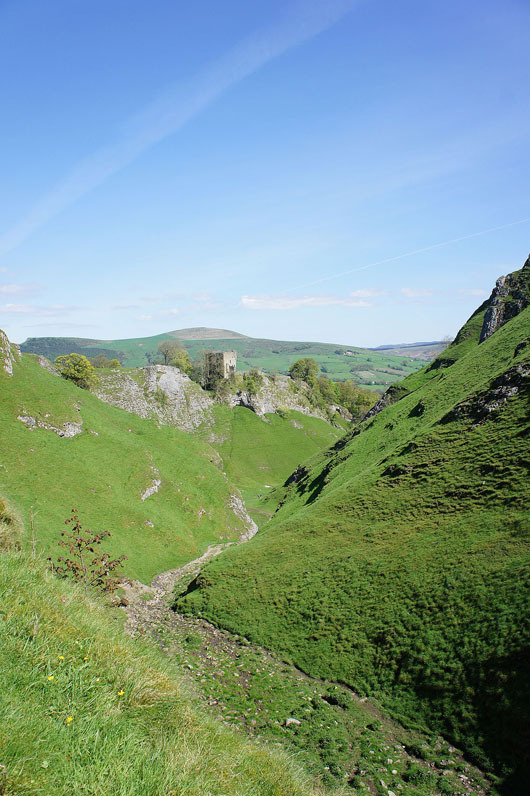 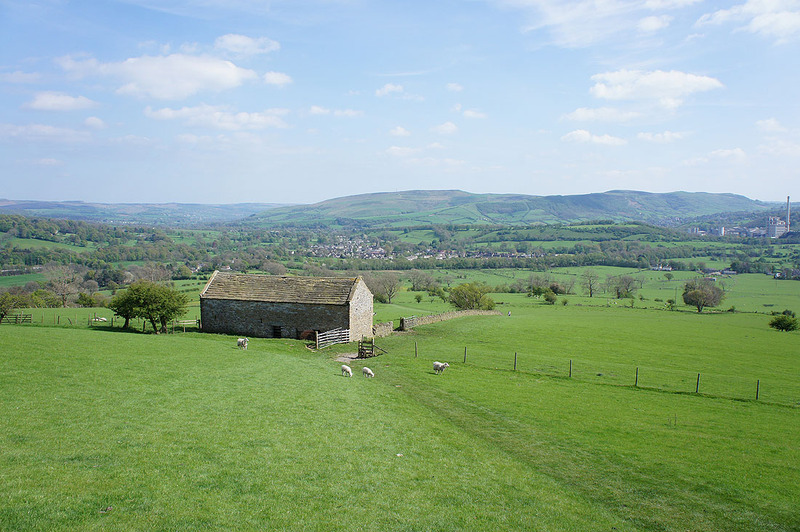 From Castleton we join the start of the Limestone Way and head into the valley of Cave Dale..
Mam Tor and the Great Ridge come into view. 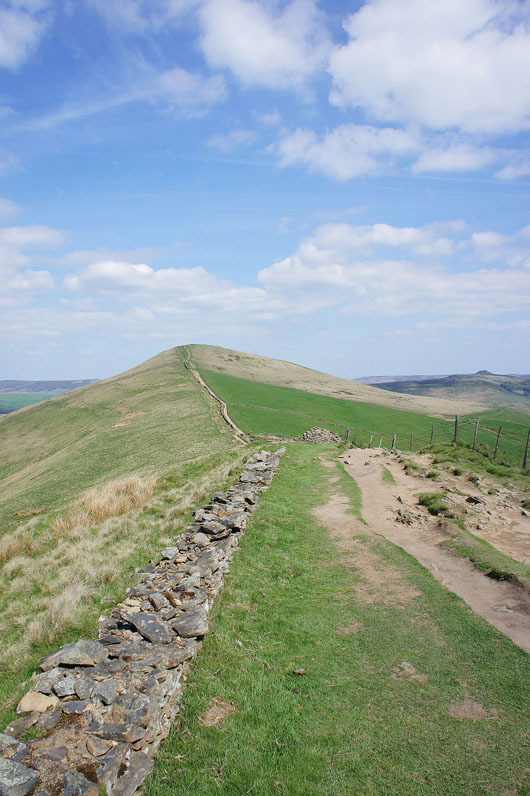 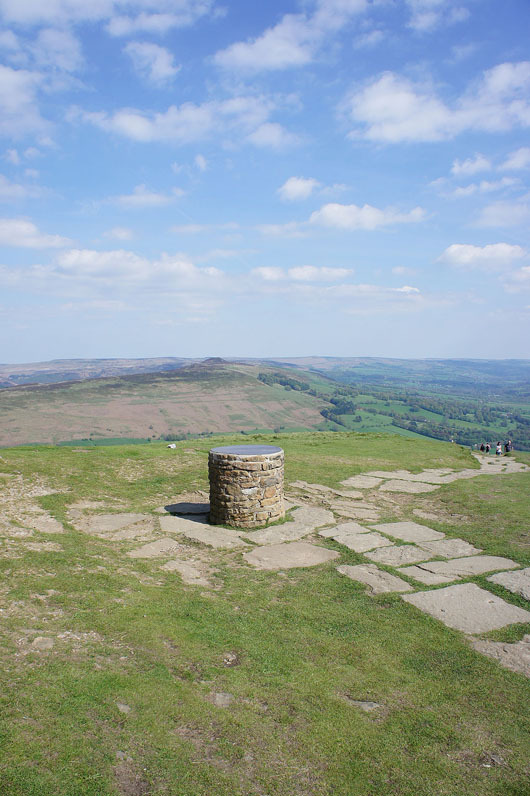 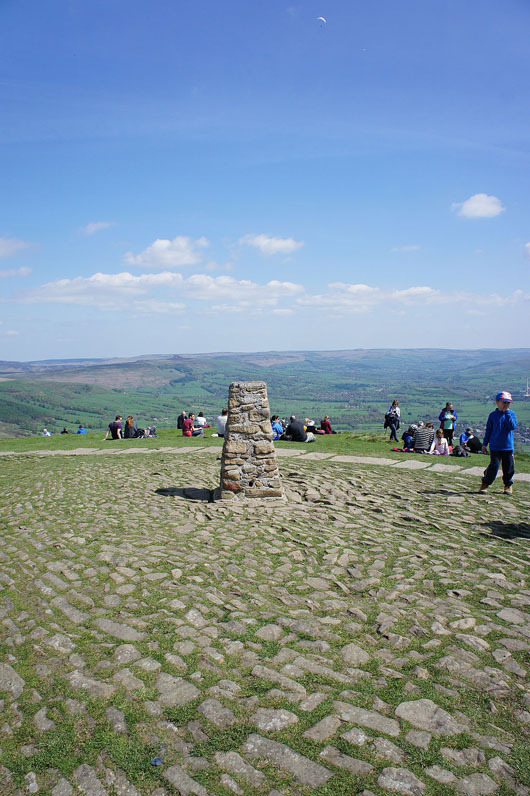 I can see that the top of Mam Tor is very busy so we'll have our lunch here before continuing. 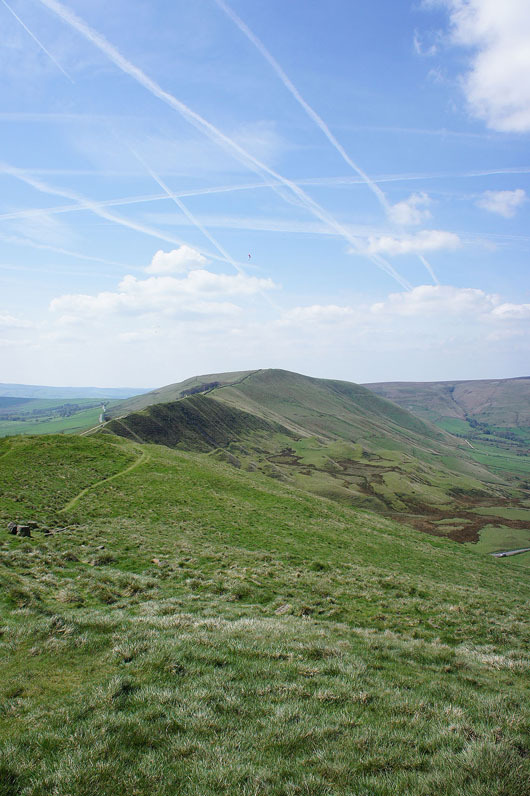 The patches of white on the hillside of Rushup Edge are paragliders setting up. 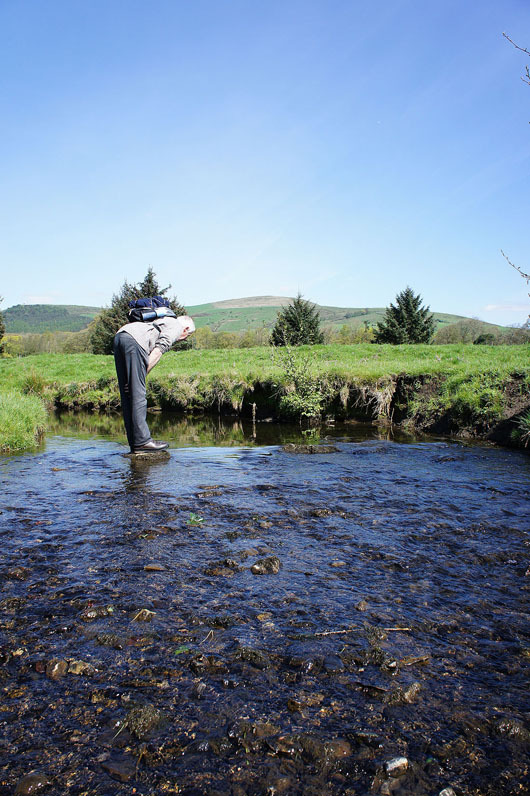 You might spot the odd one in the following photos. 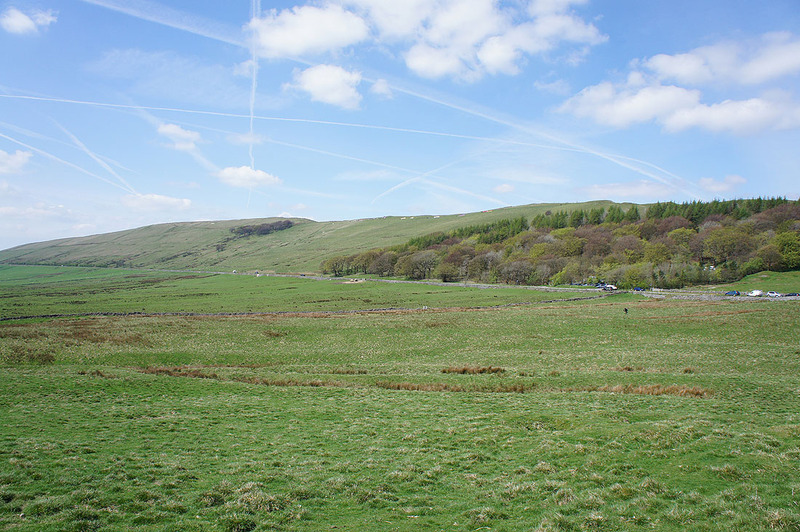 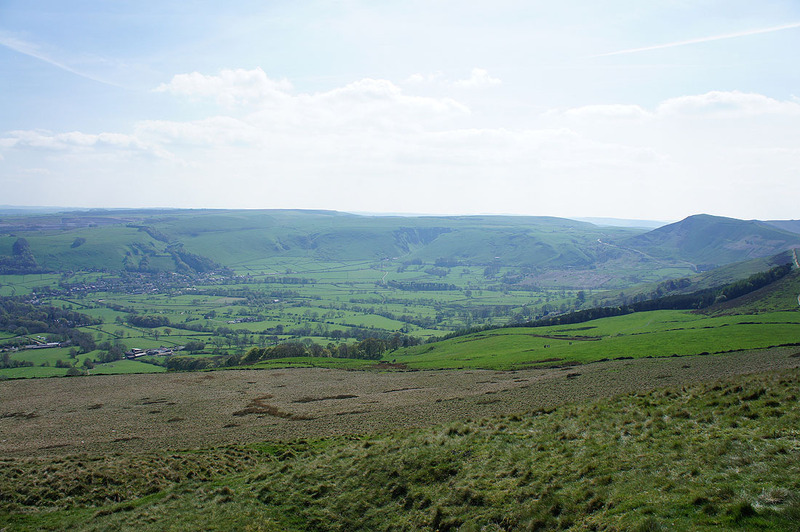 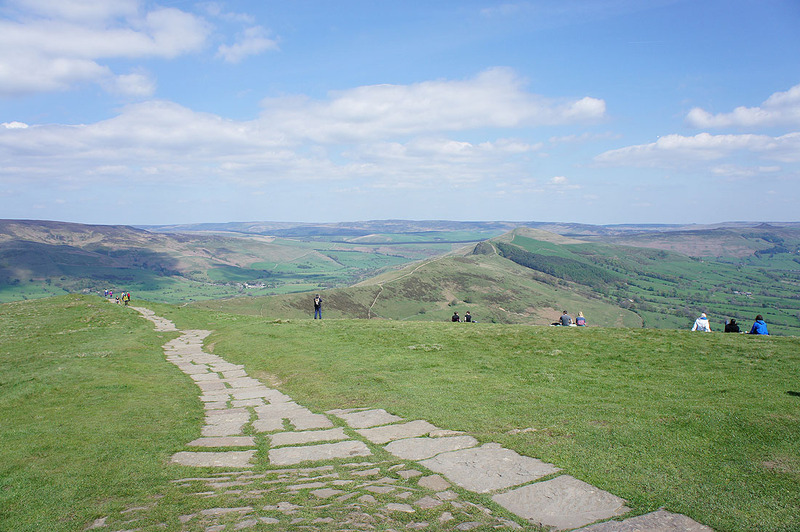 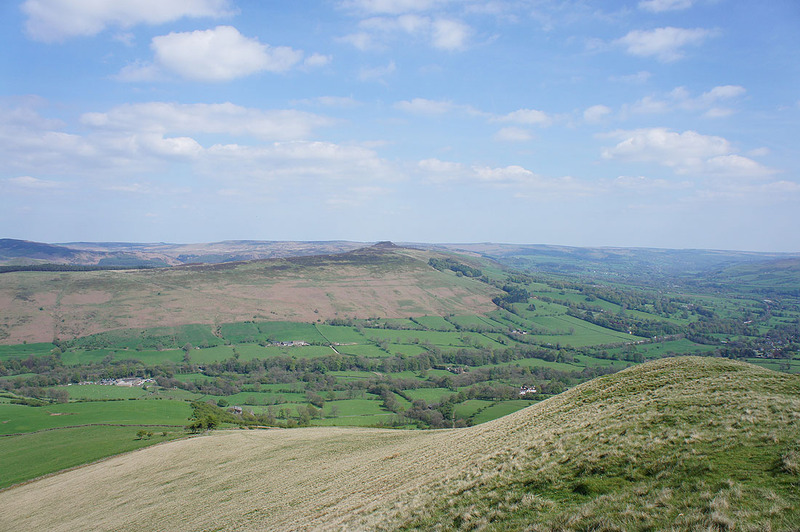 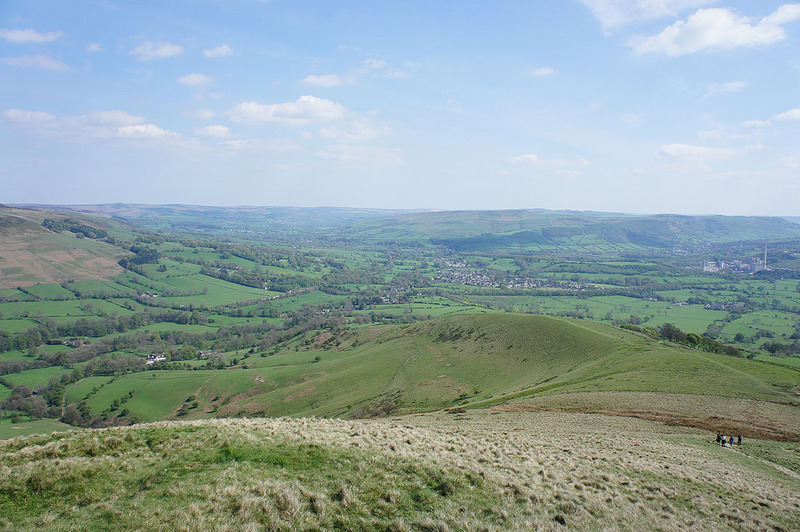 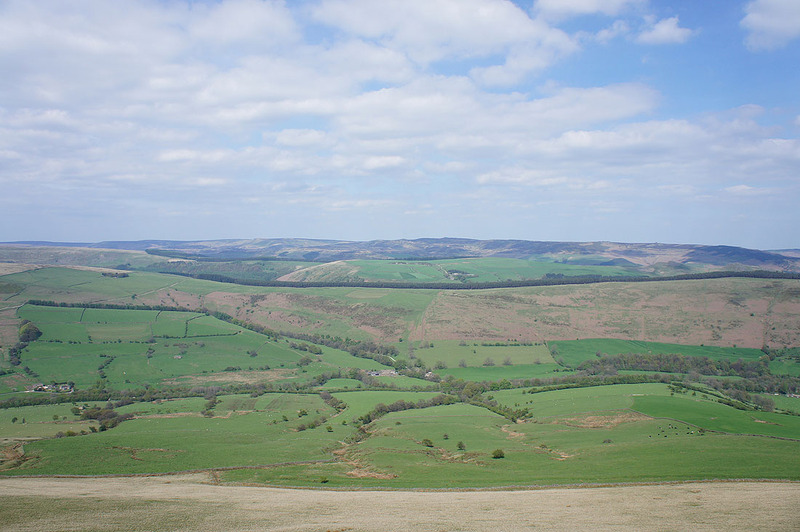 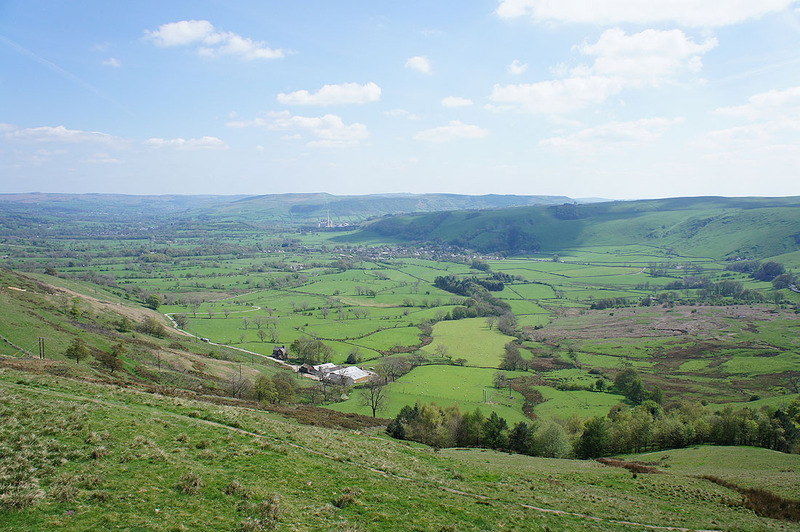 Some photos of the view from Mam Tor. 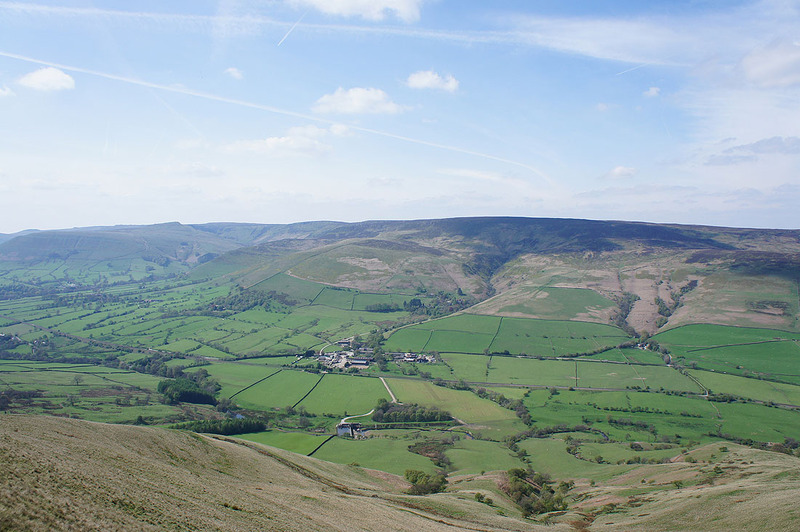 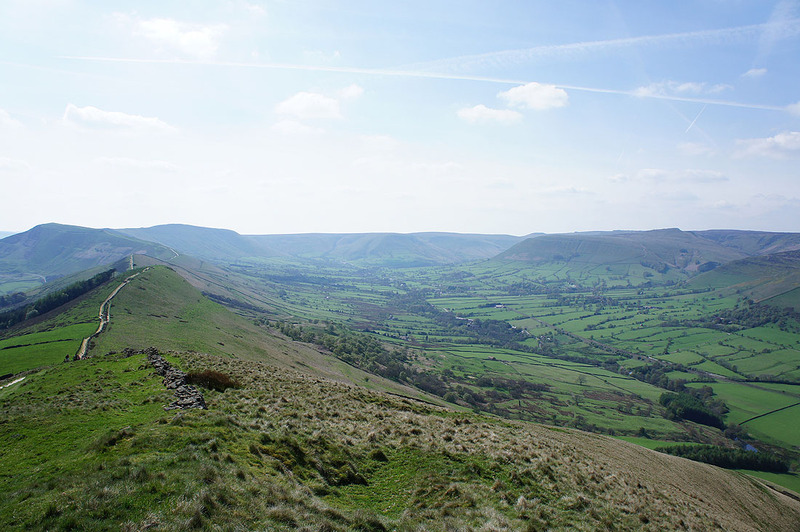 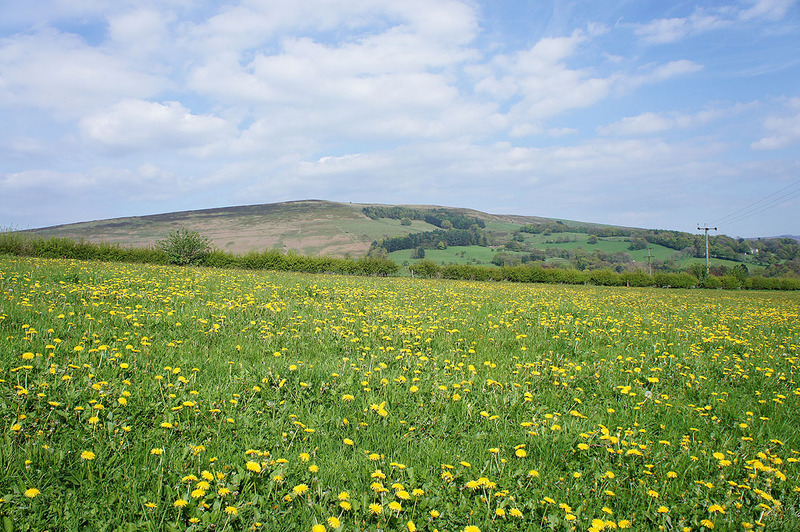 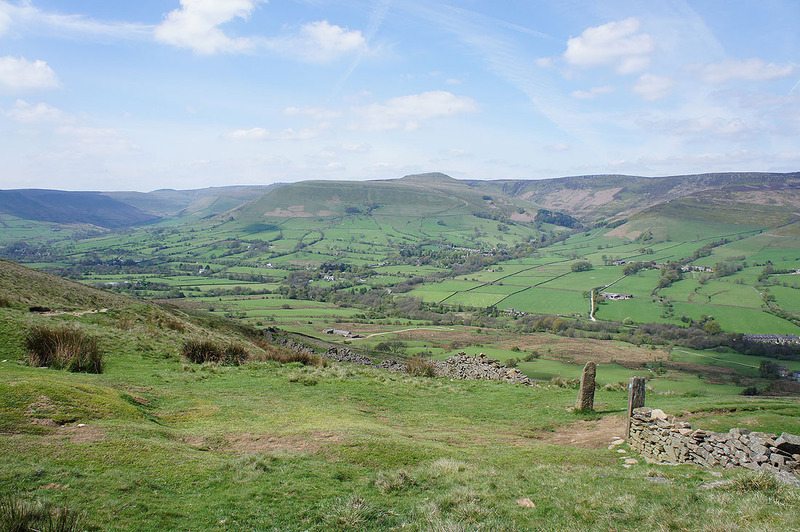 The head of Edale and Kinder Scout. 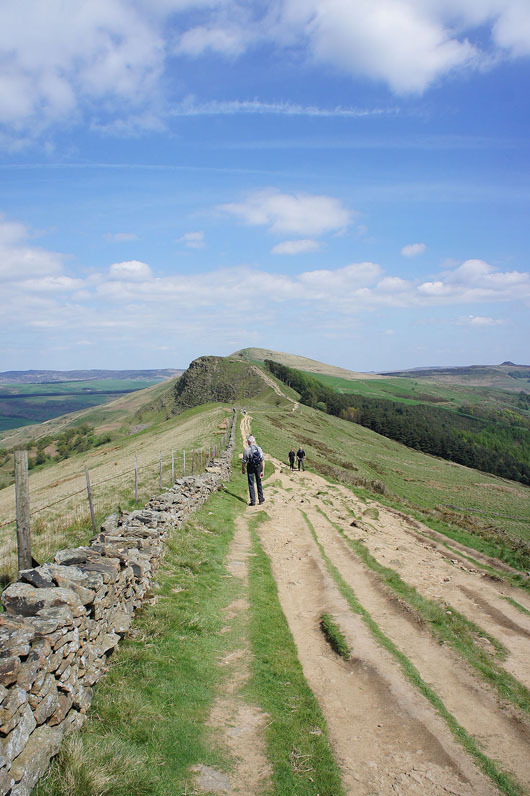 Hope is in sight as we head down the south side of the hill..